Can be eaten hot or cold, suitable for vegetarians, low fat. 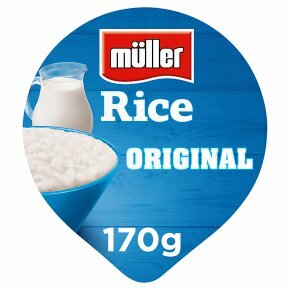 Get the most out of your day with Müller Rice original! A delicious, fat free way to bridge your hunger gap, anytime, anywhere. Made with creamy rice its great taste gets you ready to take anything on when the hunger's gone!